In this video we can see one of the methods that farms use in order to get rid of unwanted chickens - to bury them alive. The workers throw all the unwanted chickens in a mass grave, and let them die on their own from starvation, thirst or suffocation. 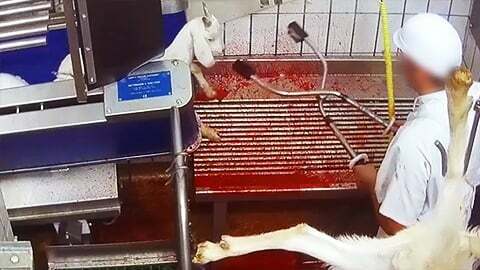 This heartbreaking footage was taken by Compassion Over Killing at a US farm that supplies Pilgrim's. 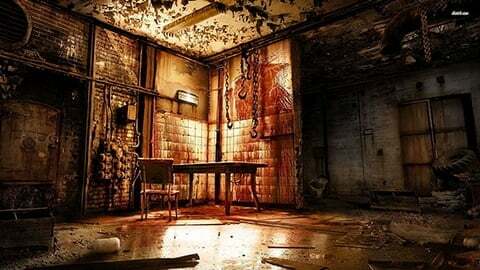 Live chickens are kept with dying and dead chickens, inside a closed pit that smells like hell. They can hear each other’s desperate chirps, and the pit only opens when new chickens are thrown in. 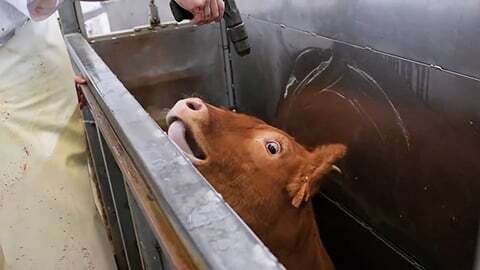 These poor animals have a slow death, full of despair, anxiety, fear and physical pain. 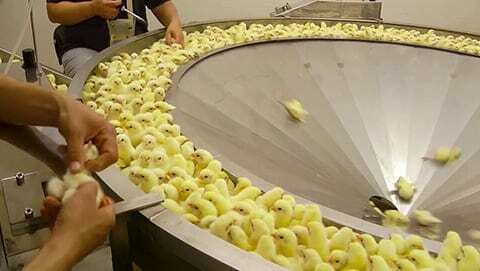 These innocent chicks are left to slowly die on their own, as the workers allow “nature to take care of it”. What the workers don’t mention is that chickens used for meat are genetically distorted to grow huge, at the expense of their health. They also don’t mention that there is nothing natural about this breed of chickens that we force into existence for the sole sake of consuming flesh. These chickens are born into distorted bodies that cause them nothing but discomfort, pain and a constant feeling of starvation, no matter how much they eat. And on top of that, the meat industry forces them to live the most horrible lives and endure the most violent deaths. The good news are that none of us has to be part of this violence. Let’s open our hearts to these miserable animals and stop eating their flesh. Compassion Over Killing is a nonprofit animal rights organization operating in the United States. 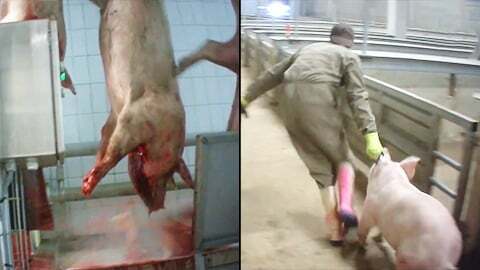 Among its activities, Compassion Over Killing is responsible for numerous undercover investigations in addition to creating TryVeg.com, a website that offers help in transitioning to veganism.